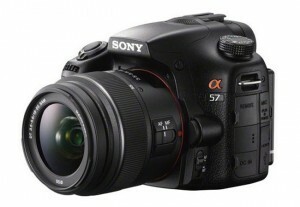 Sony has announced the new Sony Alpha A57 DSLR Camera (Sony STL-A57) which falls in to the popular A-mount camera range. 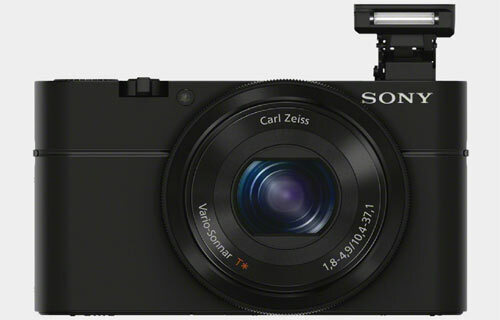 The new camera has a 16 megapixel sensor and is capable of shooting at 12 frames per second. Video can be captured with the camera at 1920 x 1080 pixels at 60p, 60i or 24p/25p. The camera is designed for those who want more control of their camera. 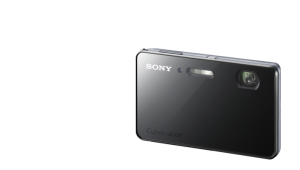 Whether you’re a professional photographer in need of a truly pocketable, high-performance compact camera to take on the go, or simply wish to expand the creative horizons of your point and shoot photography, the Sony Cyber-shot® DSC-RX100 camera is for you. With a large 1″ Exmor CMOS sensor and ultra-bright F1.8 Carl Zeiss Vario-Sonnar T* lens with 3.6x zoom, you’ll enjoy tack-sharp images and beautifully defocused backgrounds. An intuitive control ring built into the lens grants easy access to aperture settings and more. With Program, Aperture Priority, Shutter Priority and Manual (P/A/S/M) modes, get SLR-like handling for complete creative control—an incredibly effective iAuto mode is perfect for beginners. Shoot in nearly any light with natural results thanks to sensitivity that ranges from ISO 125 to 6400, and save pictures as compact JPEG files, high-resolution RAW files, or both at once. “During its first week on sale in Japan, PS Vita sold 320 K units. The sales period tracked was just two days, so hopeful fans thought that perhaps the first full week would bring good news. But the second week brought devastation – just 72 K units sold. WhenNintendo launched its latest handheld, the sales of the 3DS declined from 370 K to 210K over the first two weeks. That drop-off led to a steep further sales erosion, which forced Nintendo to implement an unusually early and steep price cut. This cut combined with the launches of big franchises like Monster Hunter, Super Mario Land and Mario Kart turned the fortunes of the 3DS around in Japan. The 3DS has now sold more than 4 Million units in Japan and in the past week it crushed Sony‘s more advanced PS Vita by 484 K vs. 72 K in unit sales. 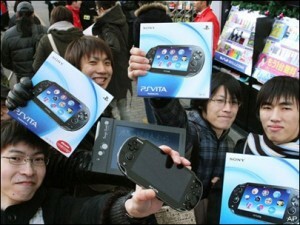 Sony will likely be forced to cut the price of the PS Vita from 24’000 yen to well below 20’000 yen very soon. The upcoming US launch could be a true debacle for several reasons. Sony has decided to price Vita at $250, higher than the Amazon Kindle Fire. The hottest games like the latest Uncharted are priced at $50, while many other major titles are $40. The pricing seems delusional in light of the Japanese response to the PS Vita. The older PSP handheld console has been a bigger hit in Japan than it has been in the US market. The tablet and iPhone market penetration rates in America are higher than in Japan – consumers may well be more reluctant to splurge on expensive, proprietary handheld consoles. The launch of the Kindle Fire at $200 has changed the US consumer electronics pricing environment. I believe Japan could well be the last stronghold of portable game consoles. Even though the 3DS stumbled badly during its early months, Nintendo revived the console with a steep price cut and nearly simultaneous launches of three major franchises near the end of the year. The 3DS should have been a surefire blockbuster in its domestic market – the summer softness in Japan may have been an early warning sign of the coming global portable market malaise. The disastrous second week of the PS Vita is the second sign. Sony clearly had some anxiety about the Vita’s launch – it built it massive early support via an extensive line of launch titles. Despite the fact that Sony’s PSP has been a big hit in Japan, the PS Vita is foundering badly out of the gate – the ancient and heavily discounted PSP outsold the brand new Vita by 40% during the Christmas week. Much is now riding on the Vita debut in the US market in February. I argued last week that PS Vita could mark the end of the era of portable game consoles. There is no doubt that Nintendo’s 3DS is going to sell at least 30 Million units globally over the next couple of years. But the portable console market may now have entered an age of permanent, slowly accelerating decline.The true test of the industry is the United States, where consumers are embracing games designed for smartphones and tablets. The possible shrinking of the portable game consumer base would hit the runner-up Sony before Nintendo really gets mauled. The rot sets in first at the periphery. Sony has approached the PS Vita launch in America with arrogance, pricing the console and games high while opting to debut the device during the slow retail month of February. Mobile app sales more than doubled during the Christmas of 2011 – solid triple digit volume growth. In the meanwhile, even in the Japanese heartland of video games, video game software unit sales are set to decline by double digits in 2011. Wow, that’s saddening due to the advancements of the Hand-held console. It may be a different story when the unit is introduced State-side; expected date: 2/2012. Model Highlights: 18.2 megapixels, certified waterproof and dustproof, 3.3″ OLED touch screen, Full HD 1080/60p video, high speed AF, up to 10 fps, Clear Image Zoom, Optical SteadyShot™ with Active Mode.